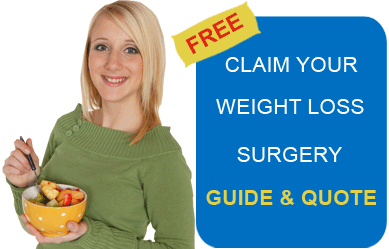 Weight loss surgery in Costa Rica is highly sought-after by medical tourists from all over the world. Costa Rica has established itself as a value-for-money medical tourism destination. Medical tourists to this Latin American country benefit from the high quality healthcare standards observed by the Costa Rican hospitals, along with affordable medical services. As per statistics released by the Council for promotion of medicine in Costa Rica, nearly 22,000 medical tourists from the US visited Costa Rica in 2008 for healthcare treatments. Many individuals may find that even after following a gruelling schedule of dieting and exercising, they fail to vanquish obesity. For such individuals, bariatric surgery can come to their rescue; though the sheer high cost of weight loss surgeries can be a dampener for quite a few. They can consider travelling to Belgium, Jordan, and India for obesity surgeries due to affordable medical treatments dispensed in these countries. Americans can consider travelling to Costa Rica, in addition to Mexico, for weight loss surgeries due to geographical proximity and easy connectivity. Obesity surgery in Costa Rica, which includes gastric bypass surgery, lap band, and gastric sleeve, is in great demand among patients from overseas. The cost of weight loss surgery in Costa Rica is significantly cheaper as compared to countries such as the US, UK, Australia, and Canada. Even with several extra elements added to your list of expenses, including air fare, accommodation, transportation, and meals, weight loss surgery in Costa Rica would be considerably inexpensive. The low prices of obesity surgery in Costa Rica are an outcome of the low cost of living and insurance in Costa Rica. Costa Rica offers the most advanced bariatric procedures such as the laparoscopic roux-en-y bypass procedure. The obesity surgeries in Costa Rica are performed by expert doctors, who are specialists in the field of bariatrics and have received comprehensive training from credible medical schools abroad. While Spanish may be the lingua franca of Costa Rica, weight loss surgeons in Costa Rica are English-speaking. International patients can dispel fears of facing a language barrier in Costa Rican hospitals. Costa Rican cities have easy connectivity with most of the US cities. Most major airlines offer nonstop flights to Costa Rica. Visa processing is easy; the citizens of US and Canada may enter Costa Rica without a tourist visa and can stay up to 90 days with a valid passport. Costa Rica is a tropical country, and is quite refreshing to be in. The tourist friendly nation has plenty to offer to the people, who come down here in pursuit of medical treatments. Apart from fulfilling the medical purpose for travel, medical tourists in Costa Rica can return with abundant memories of a nice vacation. Well-equipped hospitals and state of the art facilities make the medical system in Costa Rica one of the best in the world. As of now, there are three JCI accredited hospitals in Costa Rica. The credibility of Costa Rica as a medical tourism destination can be gauged from the fact that it was ranked higher than the US in terms of healthcare systems in the world as per global rankings released by the World Health Organisation in 2000. Costa Rica offers unique healthcare advantages over other countries, because of which flocks of tourists cross borders to visit the country for medical treatment. One of the main advantages of undergoing weight loss surgery in hospitals in Costa Rica is the cost saving which ranges from 30-80% compared to the United States prices. The medical professionals in Costa Rica have good experience in treating patients from the United States and catering to the international clientele. Be precise with your allotted budget and compute it in advance. Take the time to know more about the credentials of the bariatric surgeons in Costa Rica who will handle your procedure. Gather up all the necessary information, so you clearly know about the benefits and the risks of the surgery. Medical tourism in Costa Rica is expanding at a good pace. This tiny country, situated as a bridge between North and South American, has world famous natural fountains, wildlife forests, rivers that appeal tourists worldwide. The US dollar is widely accepted in Costa Rica. Internet speeds are quite less than the speeds available in the US and Canada. Costa Rica is famous for coffee. Don’t forget to take packets of the famed Costa Rican coffee to delight the java lovers back home. A special police force called the Tourist Police is especially dedicated to assisting the tourists with directions and answering their queries. Make sure to hire licensed taxis in Costa Rica. The availability of affordable surgery and numerous tourist places make a complete package for the medical tourist who is looking for weight loss surgery in Costa Rica.